Public lands • Closed-door meeting draws fire as commissioners call for monument rollback. Interior Secretary Ryan Zinke speaks at the Interior Department in Washington, Wednesday, March 29, 2017, after signing an order lifting a moratorium on new coal leases on federal lands and a related order on coal royalties. 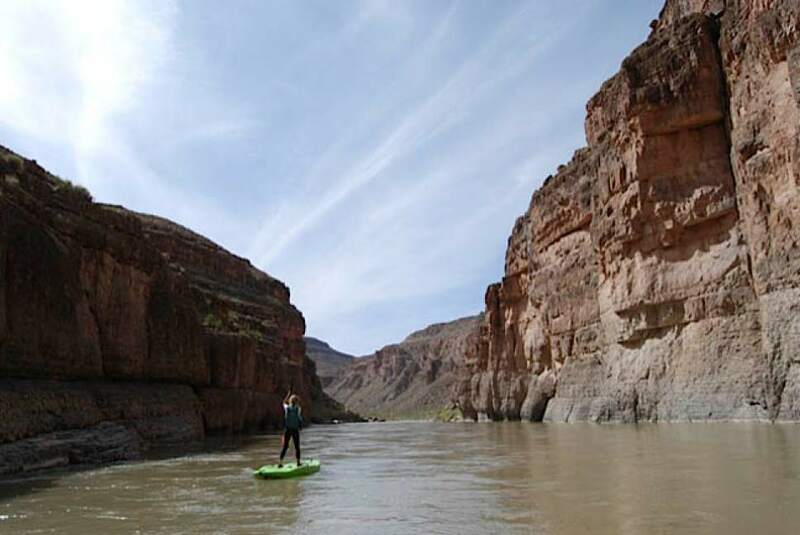 (AP Photo/Molly Riley) Brian Maffly | The Salt Lake Tribune Olivia Bailey of Salt Lake City paddles down the San Juan River downstream from Bluff. The cliffs on the right side of the river are part of three different conservation proposals centered on Cedar Mesa. The left side of the river is the Navajo Reservation. Al Hartmann | Tribune file photo Bears Ears formation rises above White Canyon along US Highway 95 near Natural Bridges National Monument in San Juan County. The formation is at the heart of the newly designated Bears Ears National Monument. Francisco Kjolseth | The Salt Lake Tribune The Bears Ears, seen on the upper left horizon, and its surrounding areas in southeastern Utah, are subject to a possible National Monument designation by President Obama under the Antiquities Act for protection. 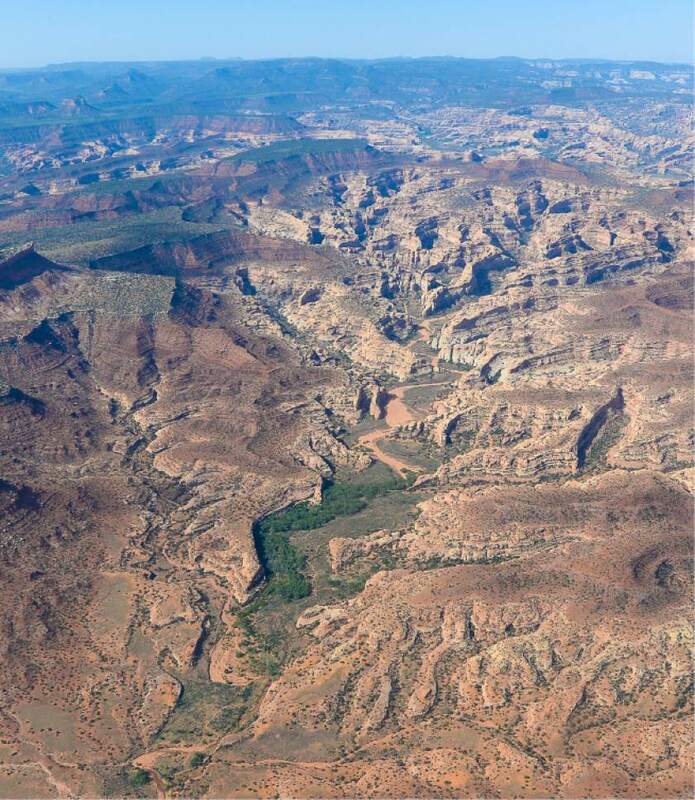 EcoFlight recently flew journalists, tribal people and activists over the northern portion of the proposed 1.9 million acre site in an effort to push for permanent protection from impacts caused by resource extraction and high-impact public use. The San Juan County Commission had an hour of face time with Interior Secretary Ryan Zinke and his staff Tuesday morning, presenting the county&apos;s case that the recently created Bears Ears National Monument is not necessary to protect its cultural and natural treasures and should be rescinded. While Zinke has yet to respond to several meeting requests from tribal representatives backing the monument, he heard local officials&apos; objections to the 1.3 million-acre monument that President Barack Obama designated Dec. 28 at the request of tribes with ancestral and spiritual ties to the archaeologically rich area bound by the San Juan and Colorado rivers. 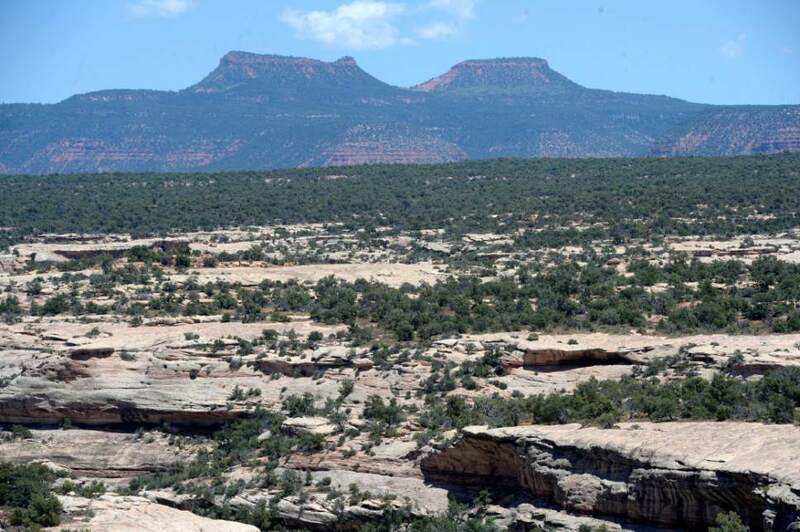 Utah and local politicians say the monument, created under executive authority granted to presidents by the 1906 Antiquities Act, will needlessly expand federal oversight and limit public access and use of the remote lands west of Blanding. President Donald Trump has directed Zinke  who is expected to visit Utah next week  to review large monument designations made by Presidents Bill Clinton, George W. Bush and Obama and report back within 120 days on whether they should be adjusted or even revoked as misapplications of the Antiquities Act. "We wanted him to have that information as he does his 45-day evaluation," said Bruce Adams, a Monticello rancher and the longest-serving member of the county commission. "He seemed like he was listening intently and had some feedback to give us." Adams said the presentation used maps to outline existing government protections for the land and its resources. "There are 11 layers of protections," Adams said. "With a monument, it is just another layer on top of all these protective areas." Zinke is to complete the Bears Ears review by June 10 and the larger review will include the 1.9-million acre Grand Staircase Escalante National Monument, designated in 1996. Tuesday&apos;s meeting raised eye brows because it amounted to a closed-door meeting of San Juan&apos;s three-member commission, and Zinke has yet to reply to requests for meetings with tribal leaders who proposed the monument. "At [Zinke&apos;s] confirmation, he said &apos;tribal sovereignty should mean something.&apos; The tribes took that as a good sign," said Natasha Hale, lead staffer for the Bears Ears Inter-Tribal Coalition. "Any new administration needs time to organize themselves, but then Zinke sets up meetings with the Utah delegation and the San Juan commission," Hale said. "What he said doesn&apos;t mean a lot." Obama designated the 1.3 million acres surrounding Cedar and Mancos mesas, Comb Ridge, Bears Ears buttes and Indian Creek at the request of the coalition&apos;s five sovereign tribes  Navajo, Ute, Ute Mountain Ute, Zuni and Hopi. "Our Tribes are the original inhabitants of the West long before the United States was a nation, and we do not view Bears Ears National Monument as an abuse," the coalition said in an April 26 letter to Zinke. "To the contrary, it is a fulfillment of both our duty to preserve our cultures and our ancestral lands, and its designation was the result of a long, deliberative process with your predecessor [Sally Jewell] to further our self-determination," the letter said. 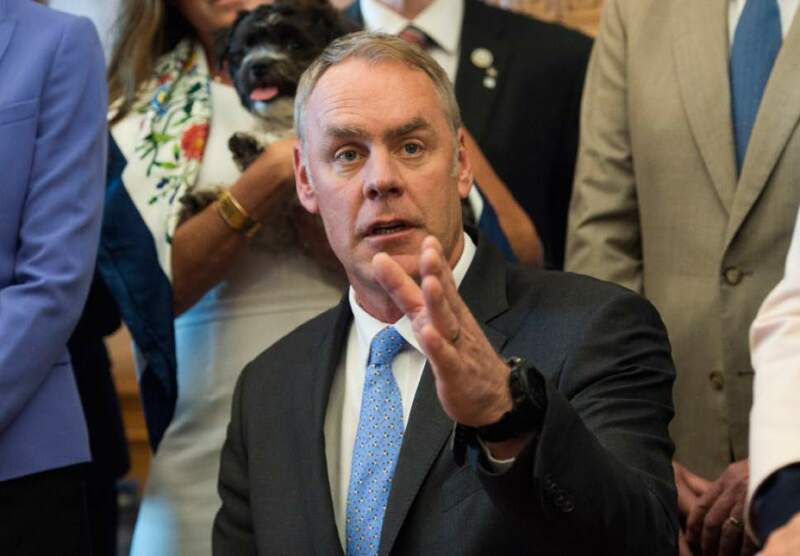 Coalition leaders said they still hope to meet with Zinke when he visits Utah next week. All three San Juan commissioners were at the Zinke meeting at the Interior Department&apos;s Washington, D.C., headquarters, but no advance public notice for the meeting was provided  in apparent violation of Utah&apos;s opening meeting laws. The commission posted that its regular Tuesday meeting would not be held this week "due to other county obligations." Adams said he does not believe that the county commission is required to post notice meetings where decisions are not being discussed, as was the case with the Zinke meeting. Media law attorney David Reymann said that the commission clearly violated the Utah Open and Public Meetings Act because they were discussing issues affecting their constituents and representing the county. "That&apos;s wrong," Reymann said of the meeting with Zinke. "It covers anytime there&apos;s a quorum present when you&apos;re discussing matters that the body has jurisdiction over. This would clearly fall within [the law]." The law specifically covers discussions even if there are no decisions made, he added. "That&apos;s a meeting," Reymann said. "They can&apos;t do that."  Reporter Thomas Burr contributed to this report.